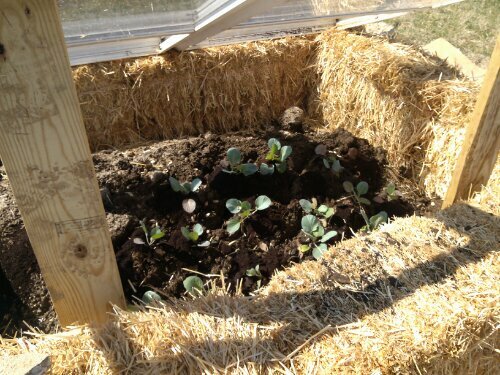 Today I planted our cabbage in our first raised bed. 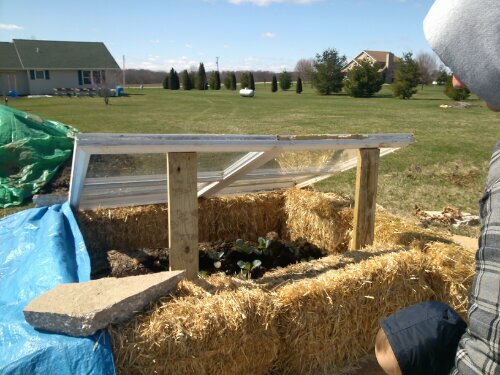 It was windy and chilly so Ray put a makeshift coldframe together over the bed. 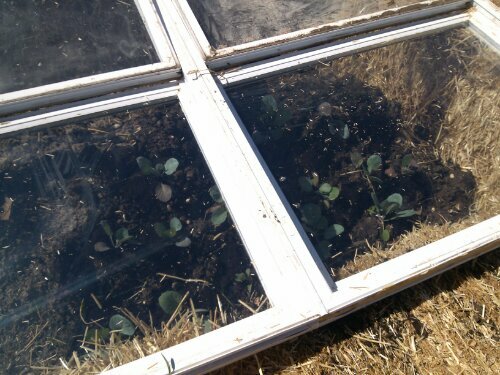 Even though cabbage is a cold hardy veggie, we want to be sure of them surviving the cold and the wind. I planted the starts on the NW corner of the bed so they would get maximum sun exposure. I also made little mini rivers, or swales, on contour above the plants so that when I water them, it will soak into the roots and not erode the soil. Tomorrow, I will direct sow kale, black seeded simpson, garlic, Shallot, onion, spinach and radish. I will also plant the celery I started from my kitchen scraps.